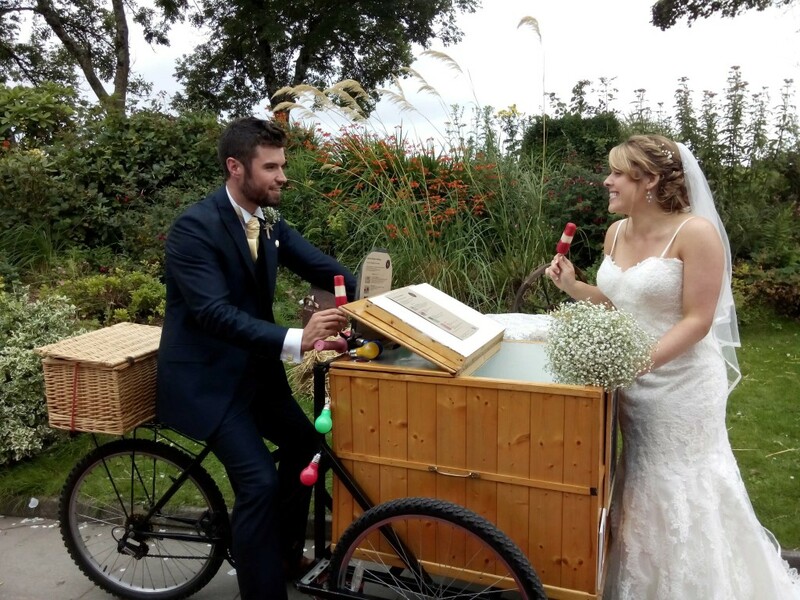 Pop Cycle poptails and lollies served from our tricycle make a fabulous addition to weddings. Choose from a wide selection of fruity, seasonal and fairtrade flavours. Our now famous Welsh G&T, Mojito, Cider and Bellini flavours will wow your guests. Go wild with edible flowers or layers or treat the kids with choc dipped lollies. Or why not commission your own flavour? Ask for our latest flavour list when you enquire. We can serve your lollies in a field, on the dancefloor – you name it. A deposit is paid to confirm your booking.